Whether you compete online in a bid for glory, live out your ultimate hockey fantasy in single player modes, or simply lace up and jump over the boards for exciting and innovative hockey gameplay - NHL 19 gives you the chance to Shape Your Legacy on and off the ice. 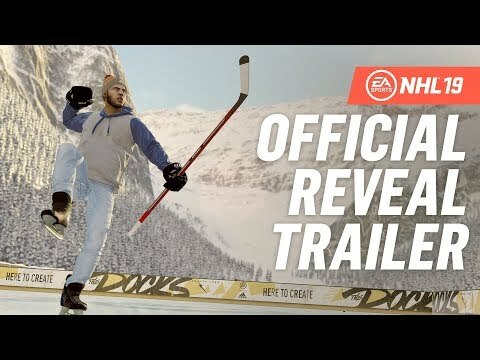 In NHL 19, play on outdoor rinks and journey from the ponds to the pros in new and returning game modes. Compete with and against 200 of the greatest hockey legends to ever hit the ice, including Wayne Gretzky. Powered by cutting-edge new gameplay technology, experience explosive-edge skating that delivers more acceleration, speed and responsiveness. NHL 19 was released on PS4 and Xbox One 219d ago in the US and the UK. Notify me when NHL 19 is available.